Some time back,Maria asked me to do a guest post on her blog.I start panicking when someone asks me for a guest post.Reason being,it has to be on par with the posts on that particular blog and it should entertain the readers in a similar way(if not same)like the author's own posts.Now that is a difficult thing to achieve,right?Especially with a blog like Maria's! Maria,of Mariasmenu is more than a fellow blogger to me.We've studied together in the same college for 5 years without knowing that few years later,we'll connect again through food blogging.I'd been following Mariasmenu much before I started blogging without knowing that she is actually my fellow college mate! For the same reason,I am hoping that she'd forgive me for taking so long to do this for her.I hope I can do justice to your blog readers Maria. 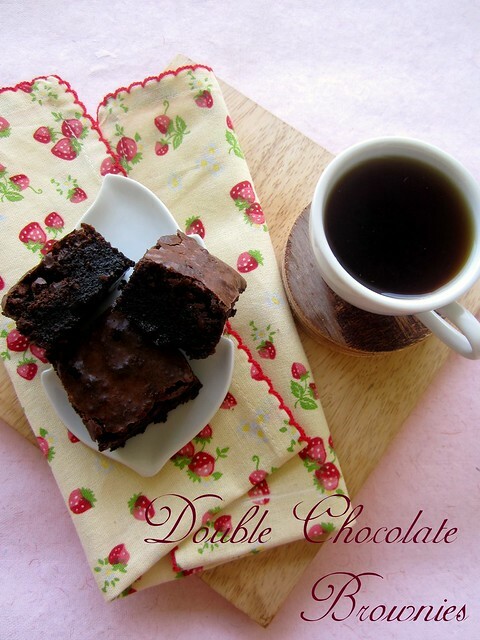 Hop on to Maria's blog Double Chocolate Brownies and some Microwave FAQ's. at 2:25 PM Labels: Baking , Brownies , Guest Post. Divya, brownies looks super perfect!! like the pics so much! divya blog loads faster! yes those dots when starting to load is a distraction and also the comment moderation plz! Thanks Lavi--comment moderation is enabled to reduce spam,I've disabled word verification long back! 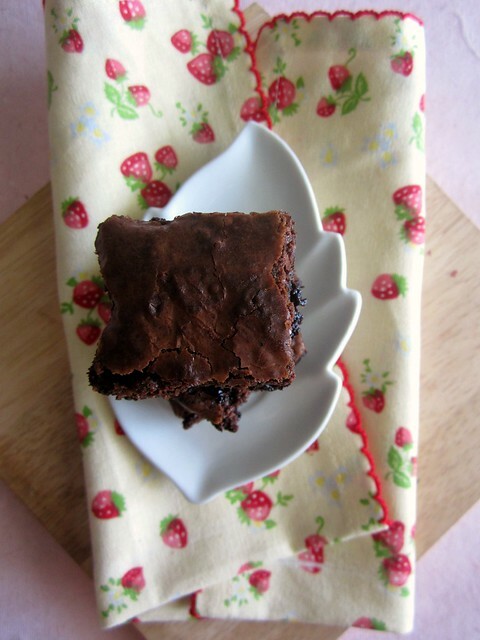 Oh ive blogged about hersheys brownies!urs look yumm! why don't you send it to my event-SHOW ME YOUR DESSERT.